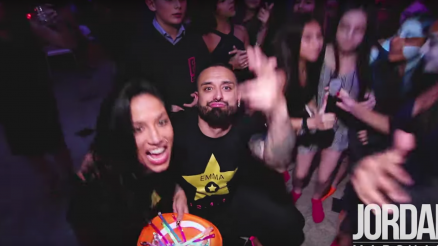 The streets may have been clear of trick or treaters and candy buckets emptied, but that didn’t mean that the Halloween fun was over for Xplosive Entertainment. 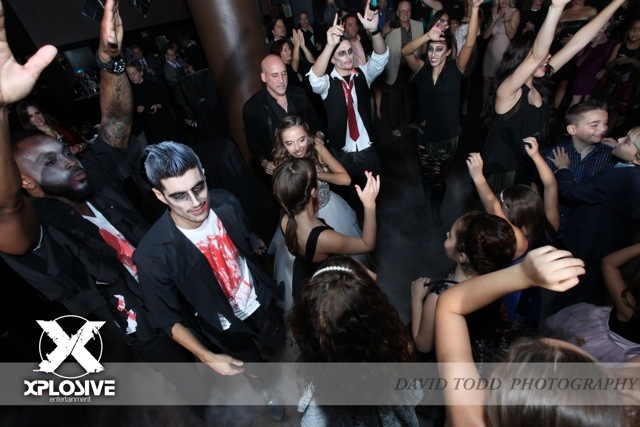 On November 1st, 2014 we gathered the zombies to help keep the goulish spirit alive at Sophia’s Boo Mitzvah! 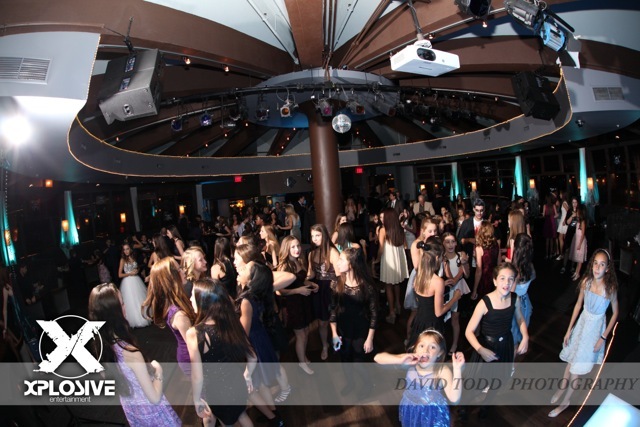 This Bat Mitzvah celebration was held at a jersey shore hotspot loaded with culture and history, a venue called Tim McLoone’s Supper Club, in Asbury Park, NJ. This unique beachfront location has beautiful panoramic views of the Atlantic Ocean and is designed in the style of a 1930’s NYC Jazz Club, perfect for the eerie setting our client was trying to achieve. 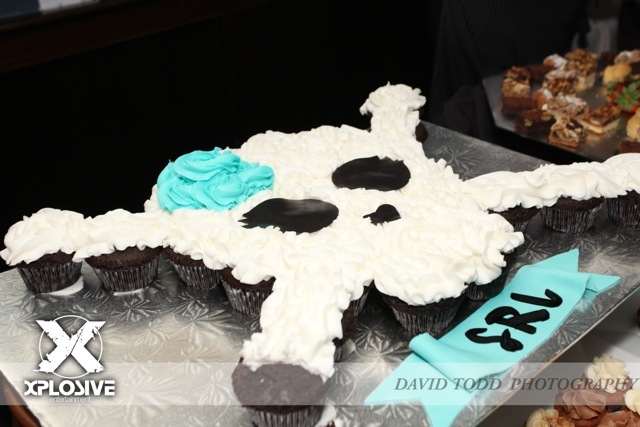 This Halloween themed Mitzvah included a number of elevated enhancements and custom elements from Xplosive Entertainment. To help set the mood for this night we up-lit the room in a ghostly blue, had motivational dancers in full themed costume, dry ice (creating a low lying fog effect), and more. The “Monster” of Ceremonies was Jordan Marshall, President of Xplosive Entertainment and nationally recognized Entertainment powerhouse. Our very own DJ Lisi kept the music flowing as the DJ for the night. Motivational dancers, (turned zombies) gave guests a “Walking Dead” style greeting creeping through the Chain link gate and up the stairway into the main room. 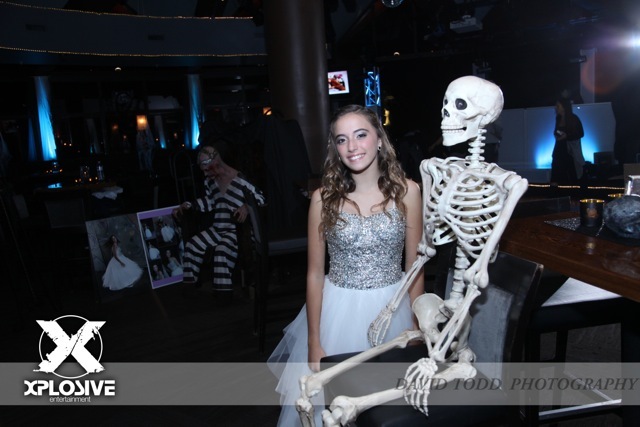 The sight of which added another level of Halloween ambiance to this Bat Mitzvah. 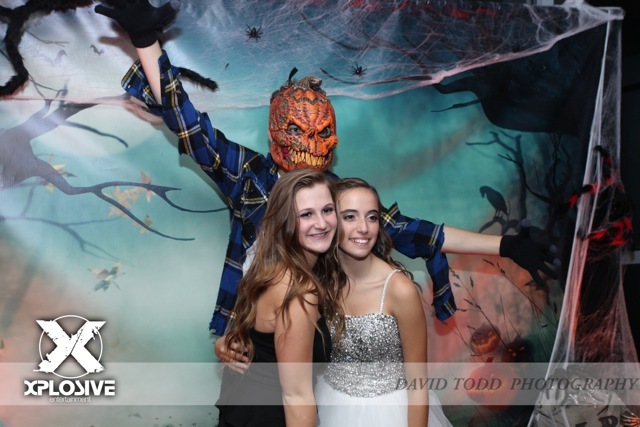 Additionally, instead of the normal photo station, for Sophie we created a custom spooky background and made it come alive with interactive costumed characters. 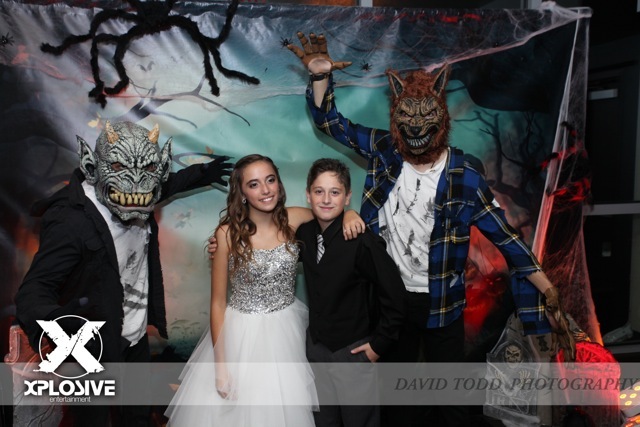 The photo background featured a graveyard scene and characters included the Wolfman, a red faced Devil, and a Pumpkin head. As part of Sophie’s favors guests received their photo from this unique photo station, framed. 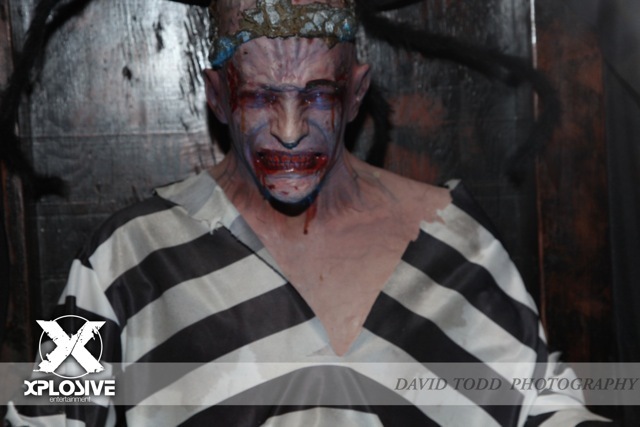 Other authentic custom props provided by Xplosive Entertainment were an animated Electric Chair Jail House Prisoner which shook at random and smoked as guests walked past the prop. An authentic coffin with skeleton decorated with spider webs was also on hand to add to the events spooktacular feel. For more information on how to bring your next event to “SCARY” new heights, please contact the event professionals at Xplosive Entertainment.